This Way, Delight: A Book of Poetry for the Young is for Ages 9-12. 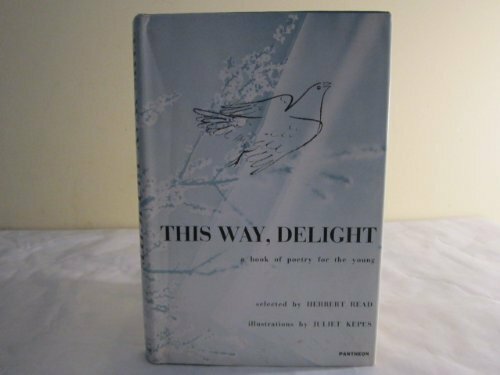 This Way, Delight: A Book of Poetry for the Young was written by Herbert Read. This Way, Delight: A Book of Poetry for the Young was published by Random House Books For Young Readers. A subject of This Way, Delight: A Book of Poetry for the Young is Children: Grades 4-6. About Juliet Kepes (Illustrator) : Juliet Kepes is a published illustrator of children's books. A published credit of Juliet Kepes is This Way, Delight: A Book of Poetry for the Young.